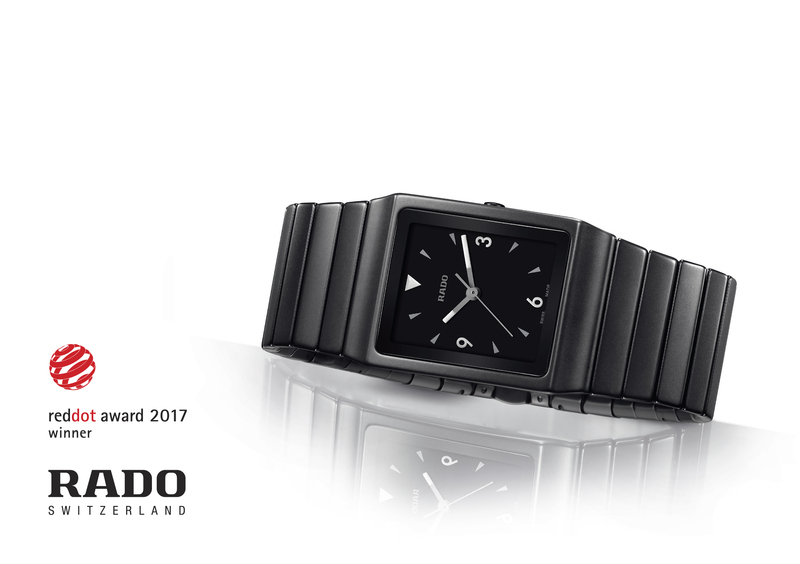 The iconic Rado Ceramica designed by Konstantin Grcic received the Red Dot Product Design Award 2017 – a reward to the brand’s excellence in using innovative materials and avant-garde design. Rado redesigned its Rado Ceramica watch last year, with the creative contribution of the industrial designer Konstantin Grcic. This is a collaboration that shed a new light on Rado and its iconic Rado Ceramica watch, by innovating it and conferring it a new contemporary look, in tune with the new generations. The Red Dot Product Design Award is just the latest of a long line of awards conferred to Rado’s timepieces. A limited edition of 701 pieces, the Rado Ceramica by Konstantin Grcic distinguishes itself also for the creative usage of numerals on the dial, and for its matt finish, that confers the timepiece a clearer reading of its lines. To discover more about the collaboration and the collection, please read here.